Three-time British Touring Car champions Matt Neal and Gordon Shedden will race alongside each other again when they share an Audi R8 LMS at next month's Bathurst 12 Hour. Neal and Shedden were team-mates at the Team Dynamics BTCC outfit for eight seasons, and won four of the six drivers' titles between 2011 and '16 in factory-backed Honda Civics. But Shedden left the team after the 2017 season to join the WRT Audi squad in the World Touring Car Cup, in which he raced with Audi Sport driver status, finishing 13th overall with one victory. He and Neal - who was ninth in the BTCC drivers' standings last year as Dynamics introduced Honda's new Civic FK8 model to the championship - will now be reunited at Bathurst, as part of a pro-am line-up alongside British driver Pete Storey in an R8 run by Team MPC, which will race as an Audi Sport team. Shedden raced alongside Storey at Bathurst in both 2014 and '15, scoring a best finish of 23rd on their most recent outing in an Aston Martin Vantage. Neal has also raced at the venue previously - finishing second in the Bathurst 1000 in 1998 in a Super Touring-spec Nissan Primera run by his family Dynamics team and contesting the same race with the Paul Morris Motorsport Supercars team in 2008. The R-Motorsport Aston Martin squad has also revealed its Bathurst plans, and will field two Vantage GT3s in the 12-hour race. 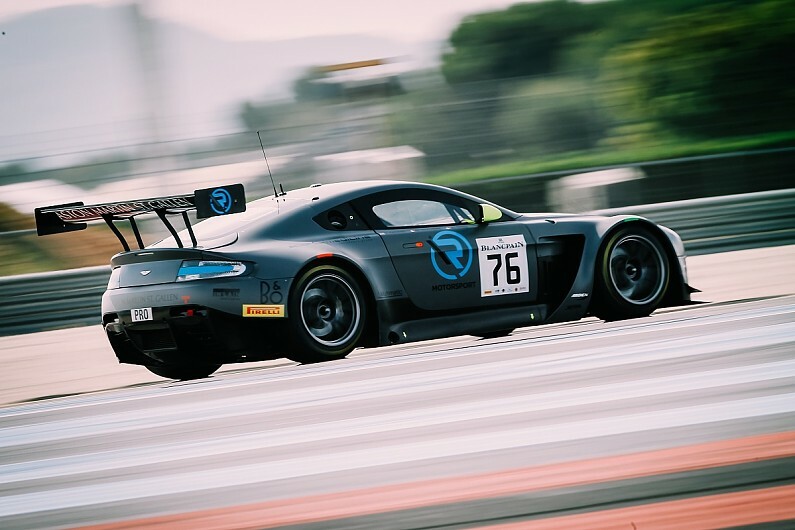 Jake Dennis and Matthieu Vaxiviere - who raced alongside Nicki Thiim in R-Motorsport's #76 Aston in the Blancpain Endurance Cup - will be part of a pro line-up alongside Marvin Kirchhofer, also part of the team's Endurance squad last year in the sister car. R-Motorsport is also entering a car in the pro-am division, fielding four drivers. Team owners Andreas Baenziger and Florian Kamelger will race alongside Australian Peter Leemhuis and 2013 McLaren Autosport BRDC Award winner Matt Parry.